The D Team Is a Group of Experienced Health Care Professionals. Our DTeam believes in an empowerment model of diabetes care and education, while stressing the importance of self-care and health promotion. We believe in a team approach to diabetes care for kids or other people with diabetes and their families, with the child and family being the most important members of their own diabetes team. As members of the “virtual diabetes team,” we are willing to tackle almost any question. Unfortunately, our time does not always permit us to answer every question that we are asked. For urgent problems, always consult your physician or a member of your diabetes team. We wish you all the very best. Stay healthy and happy! To learn more about the team member and their area of expertise, click on their profile photo for details and credentials. Sean M. Oser, MD, MPH, was diagnosed with type 1 diabetes just before starting college. Through medical school, graduate school, and residency, as well as through marriage, parenthood, and his professional career, he has learned to make diabetes work at each step along the way. His daughter was diagnosed with type 1 diabetes at age seven and, since then, he and his wife, Tamara Oser, MD, have discovered Children with Diabetes and other parent and family groups. CWD and its programs have motivated him to join the diabetes online community as well, where he blogs less frequently than he would like to at t1works.blogspot.com. He is currently Associate Professor of Family and Community Medicine at Penn State University College of Medicine and Associate Chief Medical Officer at Penn State Hershey. As medical director of Penn State Hershey’s Camp Hill primary care practice, he led that site to the National Committee for Quality Assurance’s highest level of recognition as a Patient Centered Medical Home, providing patient-centered, team-based, comprehensive care. He has also helped lead Penn State Hershey’s successful efforts to develop and implement their fully functional electronic health record and to help harness the power of technology in providing high quality, longitudinal care and enhanced communication with patients. Dr. Oser also is active in diabetes research, examining the role of social media in peer-to-peer support. Penelope Pauley, MD, is a board certified pediatrician with advanced research experience in pediatric endocrinology, DNA research, cell therapy and genotyping. Her dedication to the field of medicine is evidenced by the impressive amount of research conducted, grants awarded, presentations and lectures given and active professional memberships. Dr. Pauley provides children of Central Florida access to the latest research and technology available, offering leading-edge diagnostics, treatments and therapies, ensuring children of every stage of their endocrine, diabetes and metabolism condition and care have the resources they need to be as healthy and happy as possible. Stuart J. Brink, MD, is a board certified pediatric endocrinologist and an Associate Clinical Professor of Pediatrics at Tufts School of Medicine in Boston, Massachusetts, USA. He is the senior endocrinologist at New England Diabetes and Endocrinology Center (NEDEC) in Waltham Massachusetts and the current Educational Chair for the International Society for Pediatric and Adolescent Diabetes (ISPAD). He graduated from the University of Southern California School of Medicine, did his pediatric training and was Chief Resident in Pediatrics at LA County/USC Medical Center. Specialty training at Boston Children’s Hospital and then at the Joslin Clinic. After fellowship, he became the first senior staff pediatrician at the Joslin Clinic and then opened a private practice: NEDEC, in the Boston suburbs. 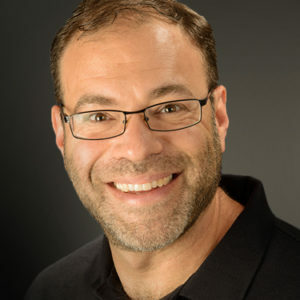 He is active with the ADA, JDF an IDF as well as ISPAD and served as the Secretary-General of ISPAD and also as President of the Massachusetts Affiliate of the ADA, national chair of the ADA’s Council on Diabetes and Youth and the ADA Program Committee. He was a co-investigator in the DCCT and lectures and writes internationally and nationally about tight control, insulin analogs, insulin pumps, inhaled insulin and all other aspects of diabetes treatment, camping and psychosocial issues. Most recently he has traveled to Jordan, Cuba, Thailand and Romania and is planning a second edition of his book: Pediatric and Adolescent Diabetes Mellitus. Dr. Jones was recruited to the University of Colorado School of Medicine, Department of Obstetrics and Gynecology in 1991. Since that time he has developed an interest in the management of diabetes during pregnancy. Along with his colleague Linda Barbour, M.D. from the Department of Internal Medicine, Dr. Jones co-directed the Diabetes in Pregnancy Program. 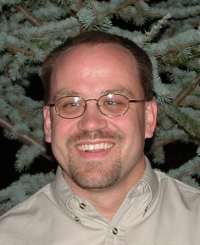 As of January, 2000 Dr. Jones joined the Obstetrix Medical Group of Colorado. This is a private practice that specializes in high risk pregnancies. Dr. Jones is continuing his interest in pregnant patients with diabetes. When not taking care of patients, Dr. Jones is usually skiing with his two sons. He is strongly interested in women’s health and is committed to successful childbearing. Dr. Matthew Brown is a pediatrician and pediatric diabetologist at the Saint Alphonsus Medical Group in Caldwell, Idaho (just outside of Boise). He manages a local diabetes care network which cares for many of the kids and teens with diabetes in southern Idaho and eastern Oregon. Dr. Brown is on the Board of Directors of Idaho Diabetes Youth Programs — which runs Camp Hodia, Idaho’s only camps for kids and teens with diabetes. He is the director of Hodia Ski Camp for teens with diabetes. He is a fellow with the American Academy of Pediatrics and is board certified by the American Board of Pediatrics. Dr. Brown especially likes caring for his patients with diabetes. In addition to his medical practice, he keeps busy with his two daughters, Katie and Emma. He also enjoys snow skiing, scuba diving, and playing the piano. 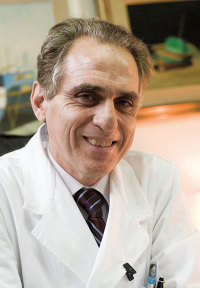 Dr. Marco Songini is Director, Diabetes Centre, Ospedale S. Michele in Cagliari, Italy. He is in charge of the Unit of Adolescent Diabetology. He is a specialist in diabetes care, endocrinology and nutrition, and has been in practice for twenty years. “HOT & COLD SPOTS” Project for the prevention of IDDM in Sardinia. He lives with his wife Ilaria, a psychotherapist, and his two children, Aurelio and Emma, in the beautiful island of Sardinia. 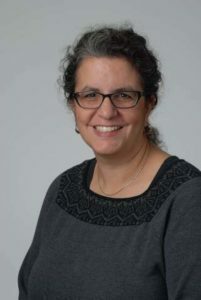 Linda Anne DiMeglio, MD, MPH is an Associate Professor in the Section of Pediatric Endocrinology/Diabetology at Riley Hospital/Indiana University in Indianapolis, Indiana. She is board certified in Pediatrics and Pediatric Endocrinology. She is the President of the American Diabetes Association Indianapolis Affiliate and has been the medical director of the Indiana ADA Diabetes Camp since 1998. Dr. DiMeglio has received career development awards and funding from the NIH and Juvenile Diabetes Research Foundation. Her primary research interest in the field of pediatric diabetes is related to outcomes of children using insulin pump therapy, although she is involved in projects related to cardiovascular outcomes of persons with diabetes. In her spare time she researches care of pediatric bone diseases, and spends time with her husband and two sons. 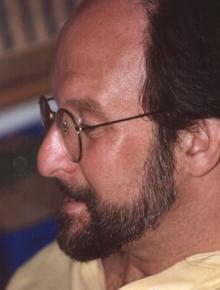 Dr. Larry Deeb, Clinical Professor, University of Florida College of Medicine is a pediatric endocrinologist. He cares for 400 children with diabetes and has been in practice for over 18 years. Dr. Deeb is medical director of the Diabetes Center at Tallahassee Memorial HealthCare. He has served the American Diabetes Association as Chair of the Council on Diabetes in Youth. Dr. Deeb is certified by the American Board of Pediatrics in Pediatric Endocrinology and is a Recognized Provider by the National Committee on Quality Assurance and the American Diabetes Association. Dr. John Schulga is a consultant paediatrician working in Stirling and Falkirk, around 30 miles northeast of Glasgow. His special interests are childhood and adolescent diabetes, endocrinology and growth, with a particular interest in the late endocrine effects of childhood cancer treatment. He presently heads the diabetes team in his area where he cares for around 130 children and adolescents with type 1 diabetes. He works with a team of two children’s diabetes specialist nurses, a dietitian, a psychologist, and a podiatrist. Working as part of a network in east and central Scotland, Dr. Schulga and two other teams share guidelines and develop effective strategies to optimize glycemic control and quality of life. He is very keen on empowerment for his families and families with diabetic children in general. Dr. Jim Lane is a diabetologist in clinical medicine. He has a full-time academic appointment at the University of Nebraska College of Medicine, where he performs clinical research in the areas of diabetes prevention (DPT-1), diabetes-related eye disease, diabetic nephropathy and pancreas transplantation. Dr. Lane’s clinical responsibilities include Assistant Director of the Diabetes Center, which has general Endocrine, Diabetes, and a Young Adult Clinic. Dr. I. David Schwartz is a Board Certified pediatric endocrinologist. He currently is the Medical Director of the Pediatric Endocrinology & Diabetes Program of the St. John’s Children’s Hospital in Springfield, MO and holds Adjunct Professor status at the University of Missouri-Columbia School of Medicine. Prior to that, he was Professor of Pediatrics at the University of South Carolina School of Medicine where he was both the Director of the Division of Pediatric Endocrinology and Director of Pediatric Research. Previously, he also has held appointments at the University of Missouri-Kansas City and the University of South Florida. He is a member of the Midwest and Southern Societies of Pediatric Research, the American Academy of Pediatrics, The Endocrine Society, The Pediatric Endocrine Society, the Human Growth Foundation, and other equally lofty and fun (?) organizations. He especially owes much to his incredible wife, his two incredible daughters, his incredible friends, and his incredible mentors. He does not tell anyone what the “I” stands for…. Dr. Andrea Scaramuzza is a Physician at Unit of Pediatrics in Asola (MN), Italy. He is is charge of the Unit of Pediatric and Adolescent Diabetology and Endocrinology. He is a specialist in pediatric diabetes care (with a special emphasis on the role of exercise and in organizing summer and winter camps, that are devoted to establishing a real friendship among participants). Andrea has published a book (in Italian) in which a young boy who becomes diabetic meets a “strange” person named Mr. Diabetes, with whom he begins a dialog on diabetes and related topics, and other things of life (friendship, love, etc.). International Society for Pediatric and Adolescent Diabetology. Since 2002, Dr. Scaramuzza has been a member of the Diabetes team of the Italian site ‘Progetto Diabete‘.